Puzzlemad New Additions: The beginning of a splurge! The beginning of a splurge! I might have been a bit bad! Mrs S has been in a forgiving mood recently after our trip to Edinburgh where she might have done some expensive shopping, so I chanced my arm and ordered some toys whilst the brownie points are still working! Above is Tricolore designed by Frans de Vreugt - a brilliant 6 piece board burr made by Brian Menold from Padauk, Holly, Wenge and Katalox. 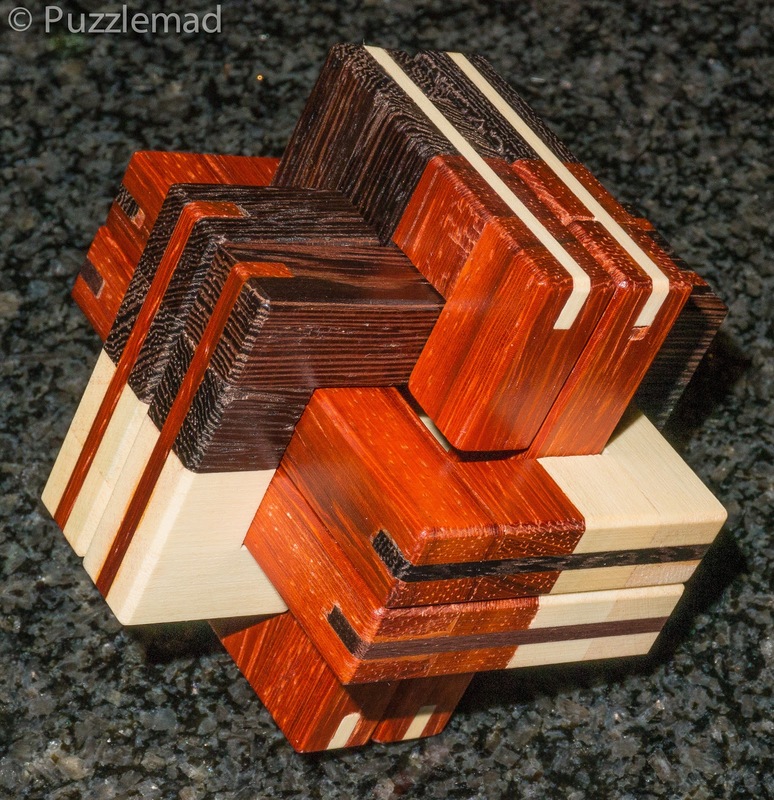 It is supposed to have some really unusual moves during the solve. Burr Noose by Tom Jolly is part of a series of puzzles which I seem to have missed out on so I remedied that with this one. Pieces made from Ash, Osage Orange, Iroko, Lacewood, Padauk and Tzalm with Holly rings (the noose). 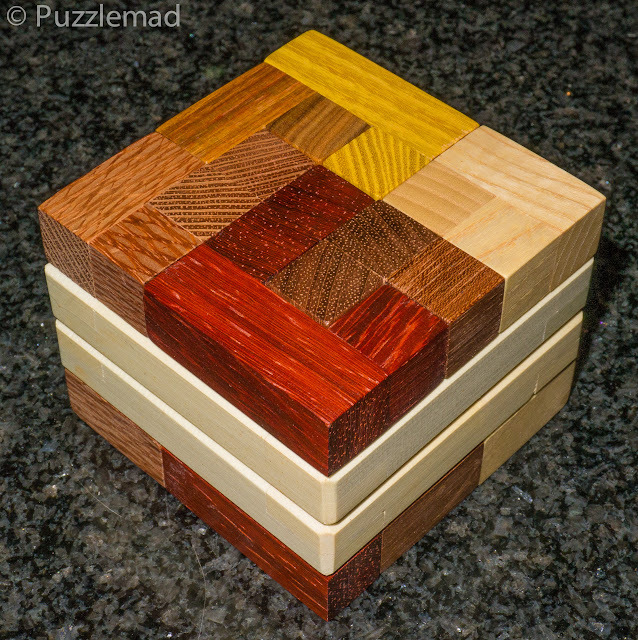 This puzzle was designed by my very good friend Tzy Hung Chein and is effectively 3 puzzles in one with levels of 12.5.5.6.4 or 11.2.3.6.4 or 12.4.3.3 depending on the arrangement of the boards. 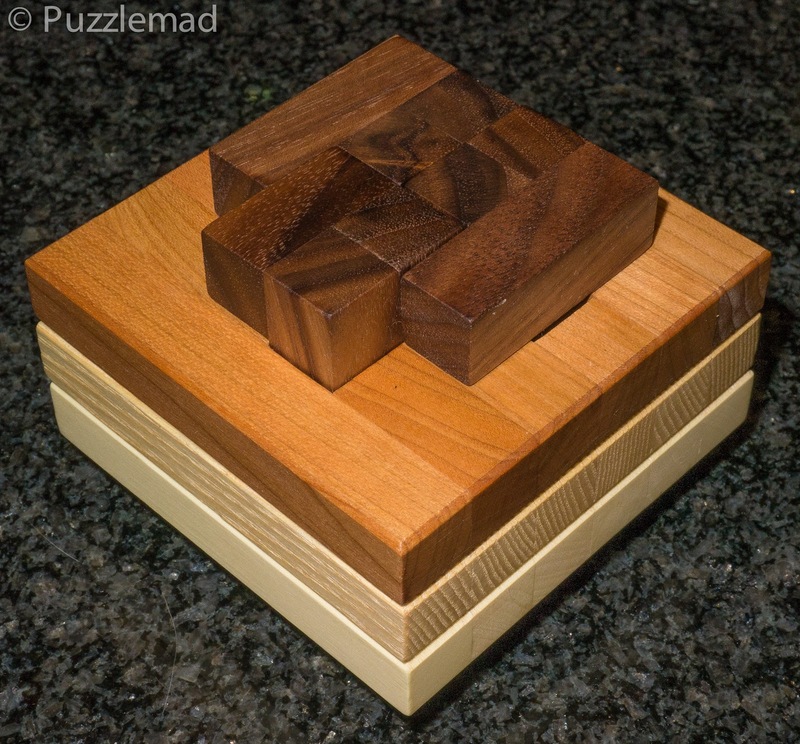 This copy has Walnut Pieces with Ash, Cherry and Holly boards. Beautiful!